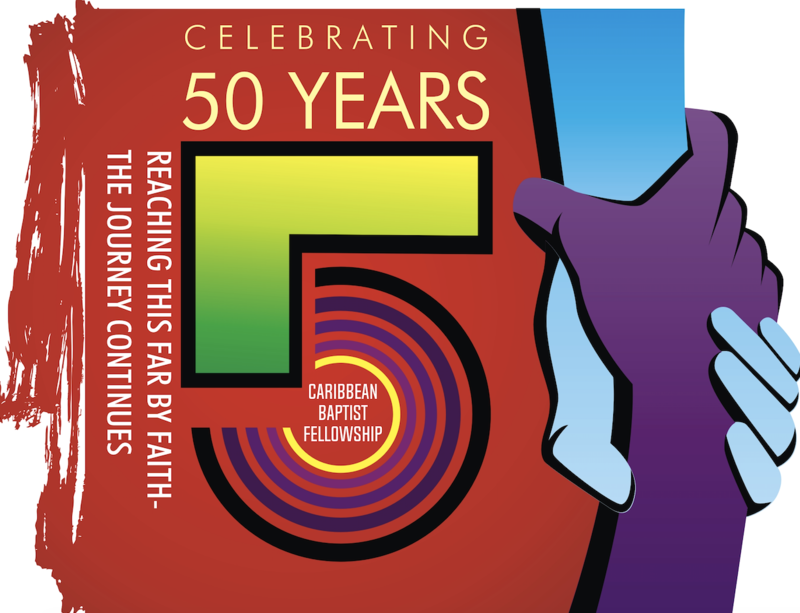 Theme: "Celebrating 50 Years-Reaching This Far By Faith: The Journey Continues"
In 1970, the Caribbean Baptist Fellowship came into being after Baptist leaders representing approximately thirteen Caribbean territories arrived at this decision in Jamaica in 1969. The founding member bodies covenanted to pool their resources for relief and development, theological education, Christian education and stewardship and mission and evangelism. The calculation reveals that in 2020, the CBF will be fifty years old. This is a momentous milestone deserving of celebration and thanksgiving to God. Therefore, plans are being made to mark this significant moment in the life and history of this Fellowship that has also given birth to the Caribbean Christian Publications (the literature agency of the CBF); the Women's Union, the Youth Department and Men's Department. This page is launched to promote the plans for the 50th anniversary and to keep the constituency informed of all activities. Stay tuned, there is much more to come!